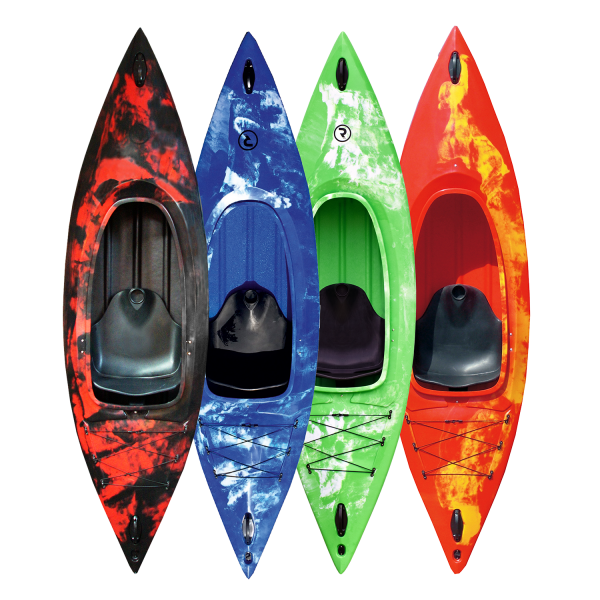 The One Man Kayak is a great starter kayak for someone just getting their bearings. 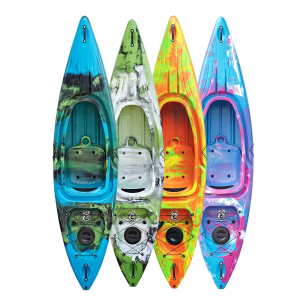 The One Man Kayak incorporates both fun and safety into its design. This One Man Kayak is ideal for both beginners and the slightly more experienced paddler. It comes complete with adjustable footrests, bungee storage at the back, a moulded drinks holder in the seat and carry handles at either end. In addition it has a hollow moulded seat which can be flipped up to allow access to the rear of the kayak for additional storage space. 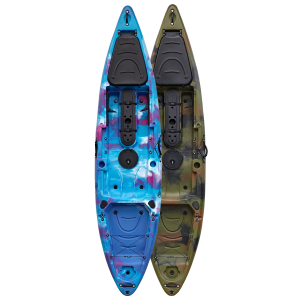 The One Man Kayak has a fairly wide and flat bottom to it which makes it incredibly stable. This is perfect for use in the sea as well as on lakes, rivers and canals. As there is not as much shape to the base of the hull it won’t perform as well in the surf. However the moulded in keels on the underside do help to keep it tracking straight when paddling. 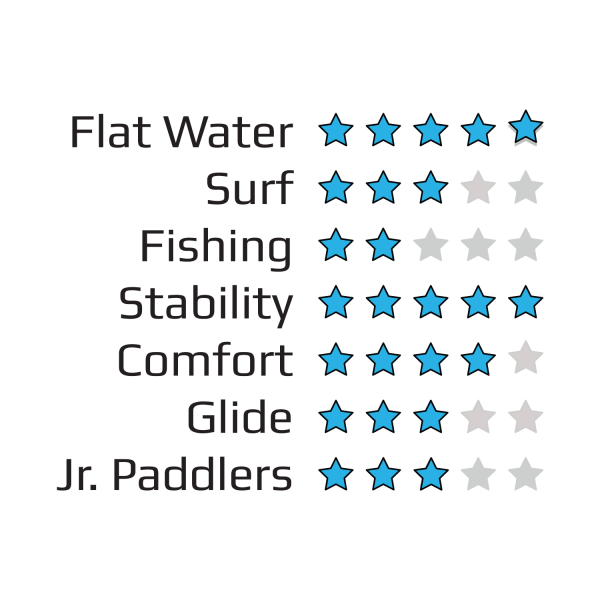 The One Man Kayak is faultless on flat waters and delivers a stable and comfortable ride for any paddler. Kayak has wide and easy access; very stable and lots of legroom as I am tall. 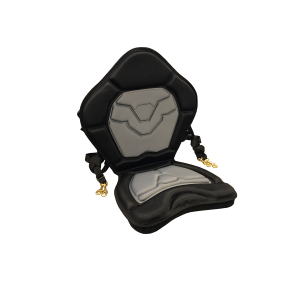 The seat is very comfortble even though it is wider than I require. I can put my feet up on the front so will be able to sunbathe in the summer in quieter conditions; I like to paddle out into Burghead Bay and read a book. Although I cannot get my folding kayak trolley in the rear compartment, because of a central strut behind the seat, it lays flat forward of the seat and does not obstruct my legroom. The seat back can be rolled forward to access rear space. Overall I’d recommend this kayak as a great buy! Excellent. 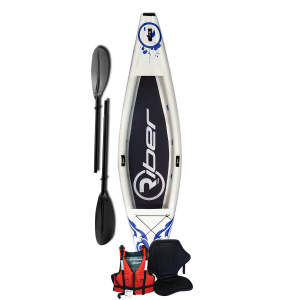 Used it on the sea and lakes, Handles well and is very buoyant. Spray deck does what it says. Just bought another for my daughter. I was very pleased with the ease of lifting it on my own, on and off the car, and enjoyed my first paddle. A very practical little canoe. 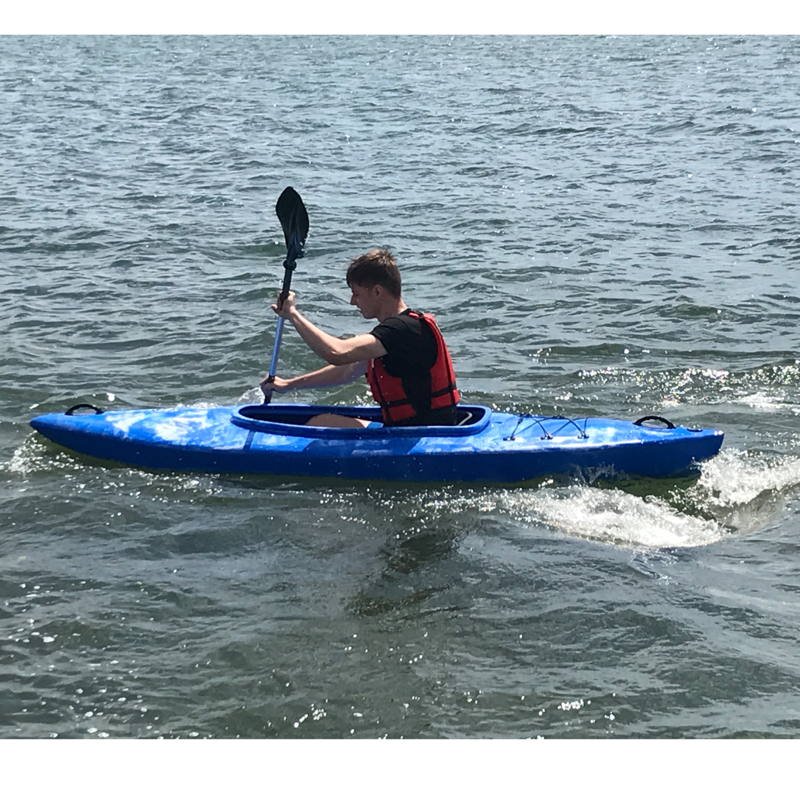 A fun, very stable and easy to use Kayak. Light enough to be easy to carry when out of the water and stable and controllable when in. Even able take my 6’2″ 16stone frame without any trouble. Spent a week exploring some lakes in france with my son and they were great fun.